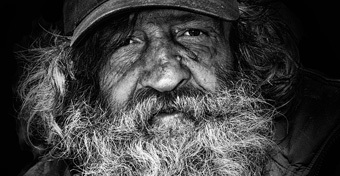 HOMELESSNESS | COMMUNITY ACTION ALLIANCE FOR NSW (CAAN): HOUSING INEQUALITY WITH AUSSIES LOCKED OUT! PERHAPS the sell-off of large Public Housing Estates exacerbated this? 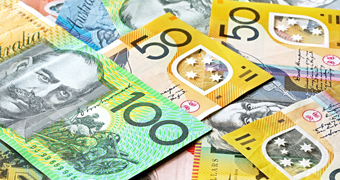 A COST OF LIVING RALLY is to be held tonight 14 March 2019 at Sydney Town Hall 6.30 to 8.40 p.m.
Dr Troy said a capital grant, combined with money available though the federal government’s bond aggregator, would be the most efficient way to fund supply long-term. He said if combined with any private housing development that in turn raised capital for social and affordable housing, annual funding needed for Sydney properties could drop to $345 million. DESPITE the housing shortage this has produced for the Incumbents! We note this was not reported on ABC NEWS 21 on Sunday evening 10 March 2019! THE PROPERTY COUNCIL is no doubt keen to fast track more builds … will the ALP and Greens Representatives get a seat at the table to ensure housing solutions for the tent dwellers and homeless? 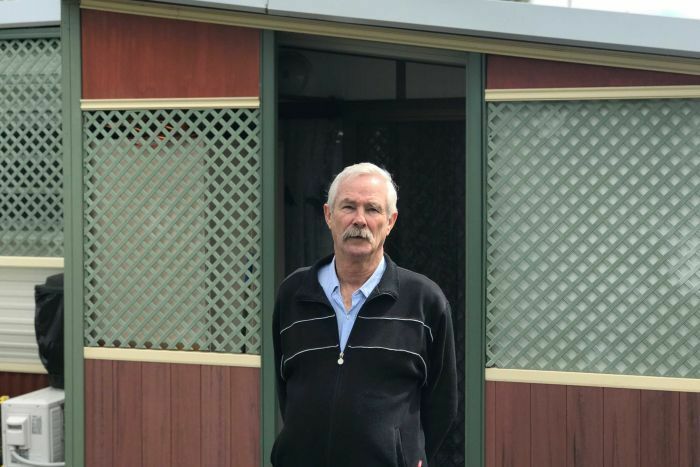 The Tasmanian Government will host an emergency housing summit next week, as families continue to struggle to find shelter in the state’s capital. Premier Will Hodgman is promising to consult experts to find an “immediate solution” to the crisis. Families have been camped out at the Hobart Showgrounds, with welfare groups admitting they are at a loss to find a solution. Mr Hodgman said the summit would be held in Hobart next week to bring together experts from across the state. “Today, we will be extending an invitation to peak bodies like TasCOSS and Shelter Tasmania, as well as key stakeholders from the housing, building and construction, property, real estate, local government, non-government and university sectors,” Mr Hodgman said. “By working together, I am confident we can identify practical actions that provide immediate assistance to Tasmanians in need. The Government has committed to building 1,500 more affordable homes, but concedes immediate action was needed. Glenorchy Mayor Kristie Johnston told ABC Radio Hobart affordable housing had been a key focus for the council. 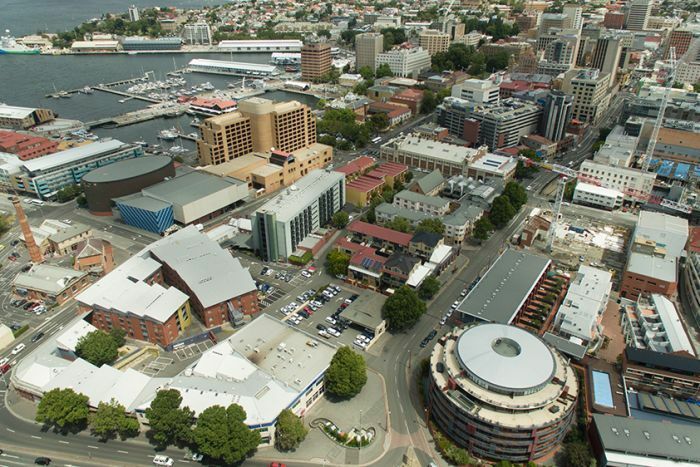 Alderman Johnston said the council had been working with the Hobart City Council on long-term plans to unlock unused land for affordable housing to be built. “Right now we are seeing a crisis and that needs an immediate response, especially as we’re approaching winter where it’s unacceptable to have people sleeping in tents,” she said. 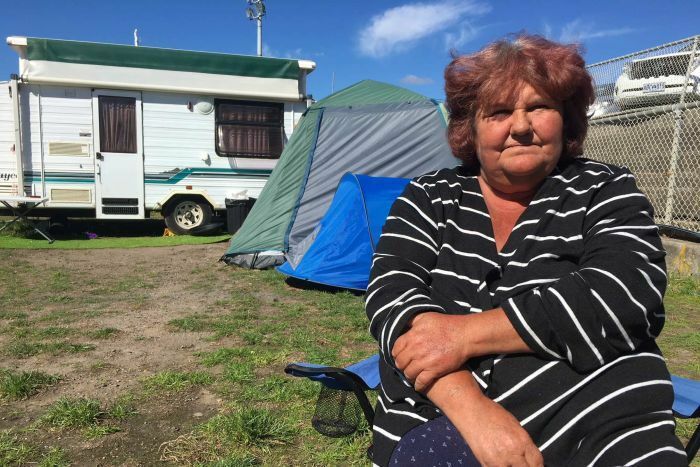 She said it was “heartbreaking” to see families camped at the showgrounds. Labor housing spokesman Josh Willie said the summit was overdue. “Labor has a constructive role to play when it comes to housing and therefore would like a seat at the table at next week’s summit,” Mr Willie said. “A bipartisan approach to the housing crisis is in Tasmania’s best interests. The Greens’ Cassy O’Connor welcomed the summit and wants to be included. “To ensure the path ahead is collaborative and solutions focused, and [this summit] doesn’t become a political football, we encourage the Premier to include the Greens and Labor in the conversation,” she said. Ms O’Connor said there were about 1,000 liveable spaces above shops in the CBD that could be converted to housing. 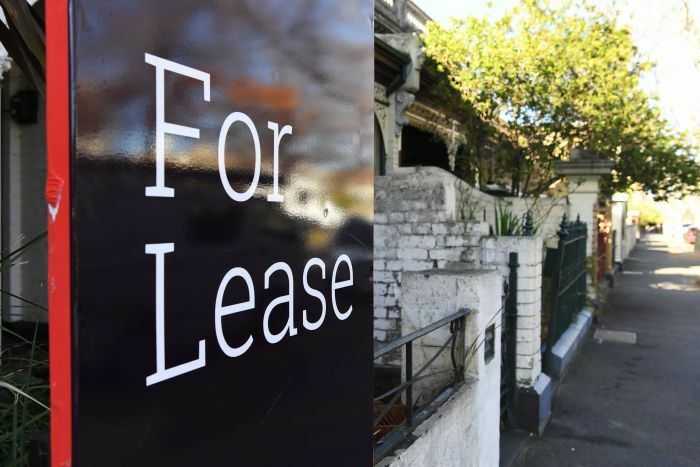 *Campaign spokeswoman Kate Colvin said western Sydney electorates had absorbed a disproportionate share of Sydney’s population growth, which had helped drive demand for rental properties. AND a fix through Government involvement in re-building Public Housing, quality affordable rental accommodation that allows tenants to save a home deposit, and homes for First Home Buyers would create jobs and improve our economy! Rental stress has been highlighted in a report commissioned by UNSW. Western Sydney has been revealed as Australia’s epicentre of rental stress — home to four of the country’s top six property pressure points, according to a new report. The Federal electorate of Fowler is the nation’s worst for rental stress, while McMahon (third), Blaxland (fifth) and Watson (sixth) are also near the top of the list. NSW electorates took 11 of the top 20 places on the national rental stress table, with the seats held by Labor or National Party MPs. Rental stress occurs when a person in the bottom percent of earners pays more than a third of their income on rent. 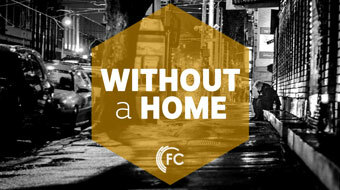 The Everybody’s Home Campaign, a coalition of not-for-profits seeking to end homelessness, commissioned the report from the University of New South Wales. They said the analysis busts the myth that housing affordability is an inner-city issue. “In Fowler, rents increased by nearly 30 per cent between 2011 and 2016 and incomes for the lowest income household increased by just 5 per cent,” she said. Fowler’s population grew by over 15,000 people between 2011 and 2016, Blaxland by 16,000, McMahon by 22,000 people and Watson by 13,000 — compared to Warringah with an increase of just 534 people or Hughes with an increase of 2,600 people. Rental stress was also driving a rise in homelessness. In south western Sydney for example, homelessness increased by 61 per cent over a five year period. PHOTO CEO of Everybody’s Home Campaign, Kate Colvin. The CEO of Shelter NSW, Karen Walsh, said low income households were vulnerable to homelessness because of a shortage of low-cost housing. “They just need something to go wrong in their life, their working hours might be reduced, they might lose their job, if their car breaks down or they’ve got a particular expense to pay, that actually puts them backwards,” Ms Walsh said. Ms Walsh said the NSW Government needed to increase the supply of social housing by at least 5,000 homes a year for next 10 years to help take pressure off. The Everybody’s Home Campaign has also called on State and Federal governments to increase the supply of social housing. NEED TO BUILD AFFORDABLE & PUBLIC HOUSING FOR INCUMBENTS: STOP OVERSEAS POPULATION CRUSH! AS spelt out previously … the calls from the NSW Premier and the PM to cut migration are nothing but a charade … a reduction of 30 thousand permanent migrants is three fifths of nothing! Of course the greedy developer lobby, the Property Council of Australia, deny the impact of their high growth agenda, and want more! WHY is it that since 2011 to date having prospered from the overseas sell-off, the developer lobby could not see their way to developing public housing and deliver beyond 5,000 dwellings per year for the next 10 years? HOW can a mere 3,400 new dwellings funded by the government solve the issue with a Sydney shortage of 80,000 social/public housing properties and 56,000 shortage across NSW? WHY cannot the charities/social housing groups look beyond the developer driven model of adding on a small quantity of public come social housing/affordable housing onto their massive Precinct developments? IT is the high population growth of both permanent migration and VISA MANIPULATION that has displaced the incumbents from housing! VIEW CAAN’s WEBSITE TO FIND OUT MORE!! How is Sydney coping with the migration boom? *Other points agreed on by the groups include the need to deliver at least 5000 extra social housing dwellings per year for the next 10 years, establishing a goal of ending homelessness in NSW by 2028, and conducting an inquiry into funding for community infrastructure, including developer contributions. 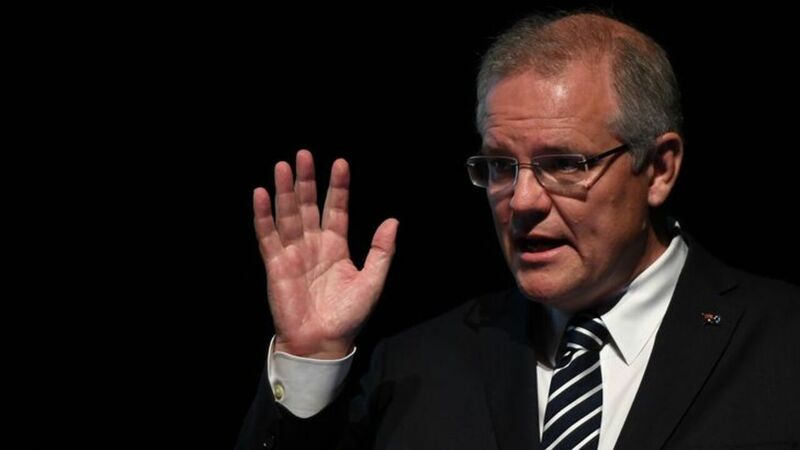 ‘The roads are clogged, the buses and the trains are full’ says Prime Minister Scott Morrison, supporting cuts to Australia’s immigration intake. *In relation to social or public housing for low-income tenants, the government’s Social and Affordable Housing Fund aims to create about 3400 new dwellings, with a seed-funding of $1.1 billion. But group members said the size of the problem outweighed the program. *For instance, a recent study by the Australian Housing and Urban Research Institute found that there is a shortage in Sydney of 80,000 social housing properties, and 56,000 shortage across the rest of the state. *For the housing groups that have joined the Alliance, one of the problems with the recent rhetoric about slowing population growth is that it obscures the need for state and council politicians and public servants to talk to communities about where extra housing in Sydney should be delivered. CARAVAN PARK CLOSURES LEAVE PENSIONERS SCRAMBLING FOR AFFORDABLE HOMES! Sites grabbed by developers … where do the former caravan park residents go many of whom are pensioners? To the Public Housing Waiting List of more than 80,000 in Victoria? Where are the priorities of our Politicians in Australia … oh … ? Looking after the interests of wealthy foreign developers and buyers perhaps? “There’s nowhere for us to go,” he said. “I just couldn’t afford anywhere else,” Mr Morris said. 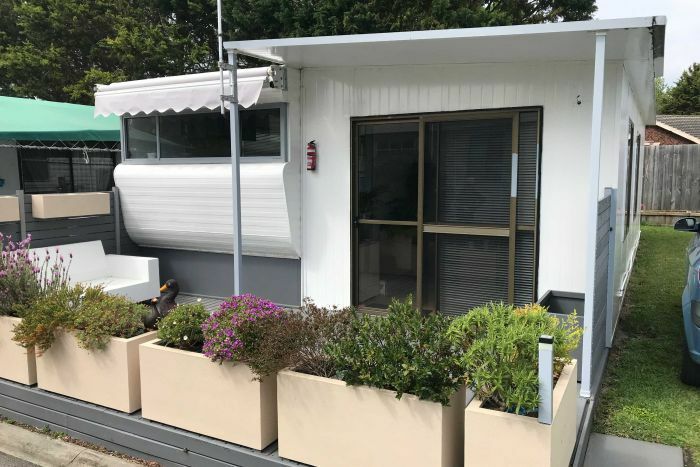 In December last year, residents got a letter from the caravan park operator saying it had been sold and they had a “minimum of a further two years” to live at the park. Australians with first-hand experience of homelessness tell ABC Open what it’s like living without a permanent home and what needs to change to get people off the streets. “Future plans for the park” are being considered, the letter said. “There’s a developer that’s bought it,” Mr Iremonger said. “We’re seeing hundreds and hundreds of people turfed out of caravan parks, rooming houses, other marginal accommodation every year,” CHP CEO Jenny Smith said. 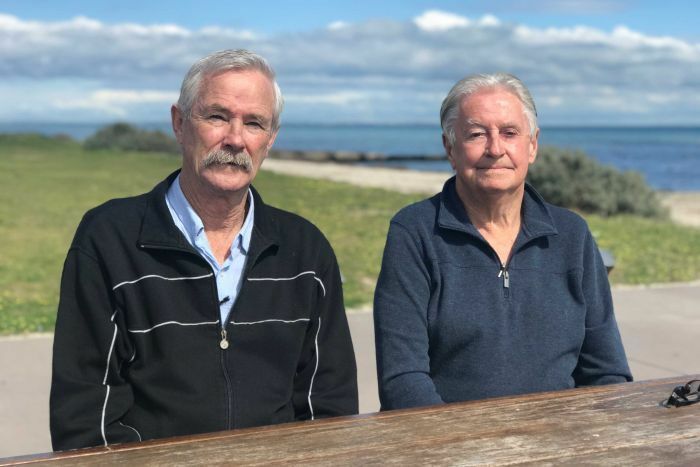 On the Mornington Peninsula, the council’s analysis shows pensioners could not afford to rent a one-bedroom property. The solution, in Mr Iremonger’s eyes, is for government to make public land available for affordable housing. He has suggested several local sites the council has rejected as “not suitable”. The Victorian Government says it can’t do anything either because it is in caretaker mode ahead of the state election. “So that we’re not making housing a commodity — we don’t think of it as shelter anymore,” she said. WHY and how did this need come about to triple Social Housing by 2036? It would appear to date back to 1996 with the Election of the LNP Howard Government which is so frequently revered by Liberal Party supporters. Was it in 1996 that there was a government move away from funding Public Housing to grant public funds to charities and others to build “Social Housing”? With cuts to government departments, functions and redundancies for “small government”. Followed by enhancement of these policies during the terms of Abbott, Turnbull and Morrison … the foreign sell-off of “new homes”, high immigration, visa manipulation to gain permanent residency through real estate purchase, and no legislation to prevent money laundering in Australian Real Estate! The consequences from these and the lowest wages growth, insecure work, underemployment have robbed Australians of home ownership, affordable rentals, the loss of public housing and many joining the list of Homeless! Our modelling of household need and procurement costs shows that direct public investment, coupled with more efficient financing through the National Housing Finance Investment Corporation, is the best way to tackle this policy challenge. Compared with subsidising the operating income of a commercially financed program, the lifetime cost of the first year of house building is A$1.6 billion less. That’s a 24% saving to the public purse. *From 1996, however, social housing largely slipped from the Australian government agenda. Dedicated ongoing funding to states and territories was at “starvation levels”. Public house building plunged to today’s residual output, except for a short-lived GFC-stimulus-funded recovery from 2008-11. INDEED how few at the Grattan Institute are living life in Struggle Street? WITH such a wealthy Donor List perhaps this explains why they report in the way that they do! Every time we’re on the verge of increasing super to a level that would provide Australians the dignity in retirement they deserve, it has been delayed and de-prioritised. 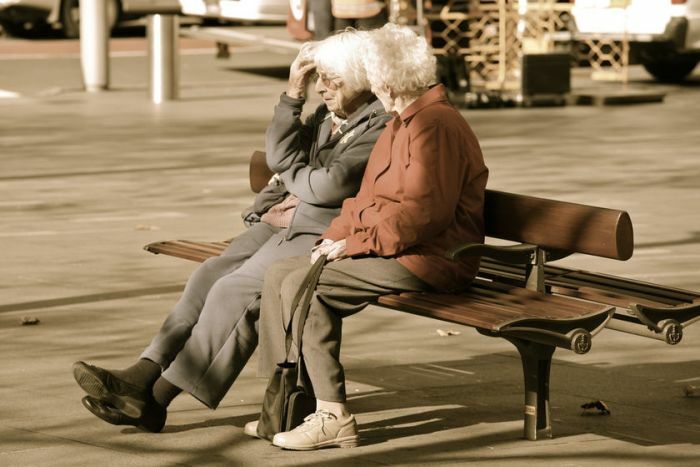 “Savings for retirement” is often considered synonymous with superannuation. This is wrong, argues The Grattan Institute. With so many employers paying wages with cash, it’s hard to know the scale of the problem of unpaid super in hospitality. The work of the Grattan Institute also assumes people working in physically demanding jobs can continue to do so until they’re 67 years old — that’s a big ask for a labourer, or a disability carer who must lift adults with physical limitations as a basic requirement of the job. The National Rental Affordability Scheme implemented in 2008 by the Rudd Government was scrapped in 2014 by the LNP with Owner incentives on more than 36,000 properties that offer discounted rent are drying up as they hit their 10-year limit, with the first subsidies expiring this year. -with more than 1400 properties to be affected next year! “People are going to fall off a cliff, they’ll go into homelessness or housing stress in a massive way,” said Andrea Galloway, chief executive of community housing provider Evolve Housing. Affordable housing — rental properties offering subsidised rent to lower income earners — has been supported by the National Rental Affordability Scheme since 2008, which gives annually indexed incentives to developers and investors who charge at least 20 per cent below market rate, for up to 10 years. Only 198 properties across Australia will be affected this year, but this will markedly jump to more than 1400 next year, with incentives progressively ending until 2026. With the scheme scrapped in 2014, due to administration concerns, and no substitute to replace it, some affordable properties are expected to return to the private market. 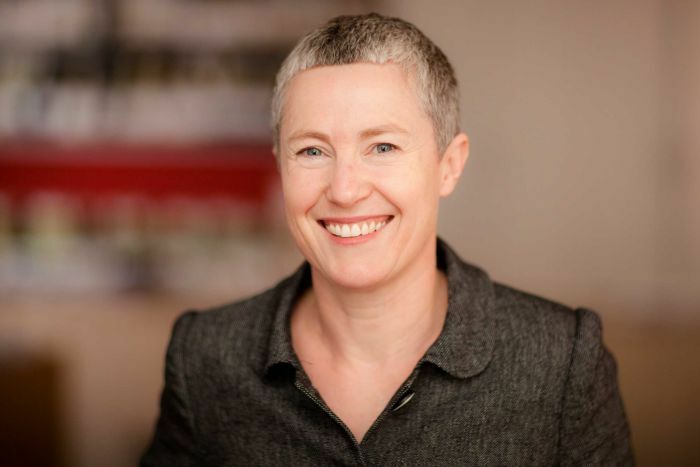 Community Housing Industry Association executive director Peta Winzar predicts only one-third of more than 17,000 NRAS properties owned by the for-profit sector would continue to offer below-market rent. “It’s a huge worry for us,” added Ms Galloway, noting more than half of the 782 NRAS properties managed by Evolve were privately owned by developers and mum-and-dad investors. 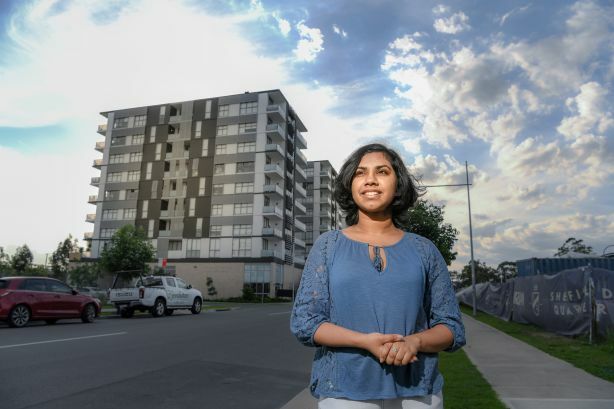 Medical student Nethangie Ranhotty, who lives in an Evolve Housing development in Penrith in Sydney’s west, is just one of thousands who could be affected. Nethangie Ranhotty lives in a new affordable housing development that is supported by the NRAS incentive. She and her mother have spent years between women’s refuges, community housing and the private rental sector, after fleeing domestic violence in 2011. Now 20, she enjoys the security of a long-term affordable home. “Almost every day we were going to apartment inspections to see what we could afford,” Ms Ranhotty said. NRAS incentives have been used at Harts Landing in Penrith to help deliver an extra 128 affordable housing properties. 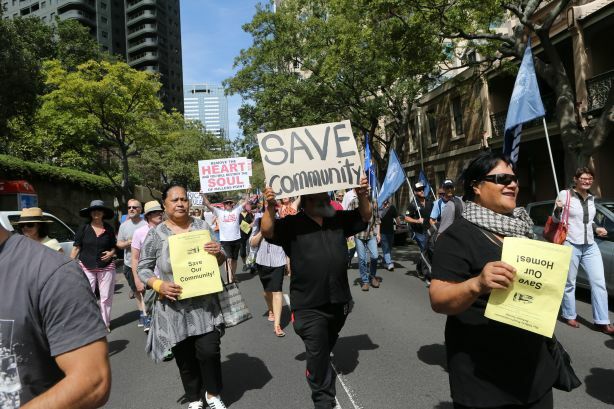 Community housing providers collectively own about 40 per cent of all NRAS properties and Ms Winzar said while they would do their best to keep them all, some would be unable to. But just how large an impact will the end of the scheme have? It is hard to predict because, apart from NRAS properties, there is no measure of the number of affordable properties across Australia and there is broad uncertainty about what housing providers would do without a subsidy. 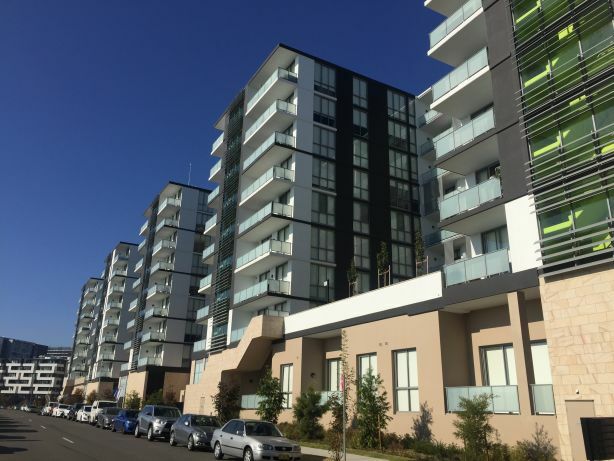 With an estimated 17,000 additional affordable homes already needed each year to meet the backlog of demand by 2026, according to University of Sydney research, any NRAS properties returning to the private market would exacerbate the situation at a time when social housing is also not keeping up with demand. 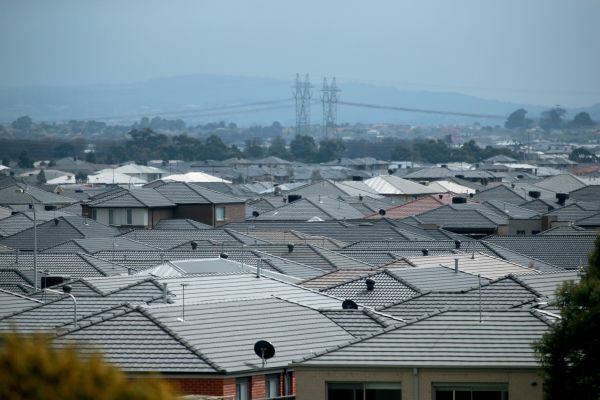 An incentive similar to the NRAS is needed to boost affordable housing supply and maintain existing numbers, according to Kate Raynor, a postdoctoral research fellow at the University of Melbourne. But, she said, any new system would need to address the NRAS’ flaws, the most critical of which was that regardless of a property’s size and location, the same incentive was given. This meant many developers built studio and one-bedroom apartments, which were used for student accommodation. The opposition spokesman for housing and homelessness, Doug Cameron, slammed the NRAS’ scrapping and said there were issues with any new policy that had to be addressed. He said Labor would announce more housing and homelessness policies prior to the election. A spokesperson for Families and Social Services Minister Paul Fletcher said tenants, investors and approved applicants were all aware of the NRAS’ 10-year time frame, part of the Rudd government’s original design, when they entered the scheme. The spokesperson added that the supply of affordable housing and regulation of the private rental market were primarily state government responsibilities. Sydney’s rental market in the first half of 2018 was worst in the country with homelessness doubling in Parramatta. IT appears this predicament for Tenants is a consequence of the Game of Mates! Since 2011 the NSW LNP have sold off a large number of Public Housing Estates including that of The Rocks and Millers Point, the Northern Beaches, Glebe, Waterloo, Balmain, the Ivanhoe Estate at Macquarie Park where demolition has had to be stalled due to the need to re-house tenants! In 2017 there were 195,000 people remaining on the Public Housing Wait List! Here at Millers Point almost 600 tenants were forced out of their homes and moved to other parts of the city … breaking up communities … many elderly passed on due to the stress … for their community to be replaced by property investors, speculators and short-term lets. That’s NSW NOW Sellergate … no longer there to serve its Constituents! 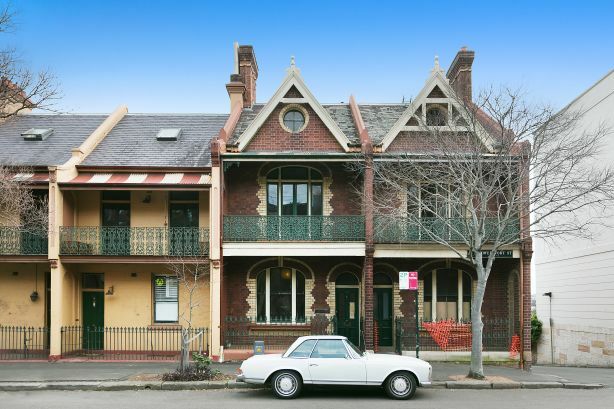 The final two heritage-listed terraces to go under the hammer — 65 and 69 Lower Fort Street — sold for $2.71 million and $3.051 million. A terrace at 65 Lower Fort Street, Millers Point, sold for $2.71 million. Brett Newman, chief executive of Property NSW, which sold the homes on behalf of Family and Community Services, said about $608 million had been amassed from the sale of more than 189 properties. He said despite the recent cooldown in Sydney’s property market, demand for the dated properties had remained strong given their prime location. 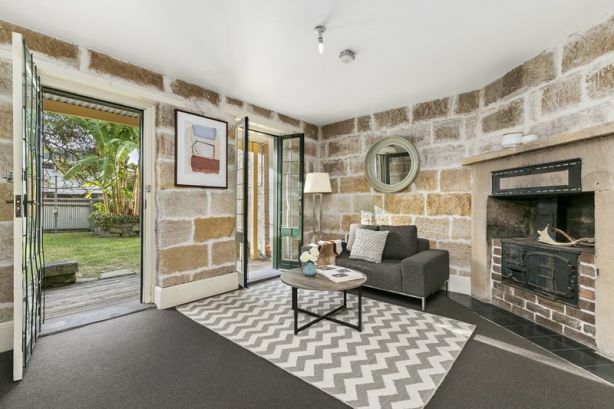 Six buyers turned out for the auctions on Saturday, with both properties snapped up by young families, according to Peter Starrof McGrath Edgecliff. All that remains to be sold now is the nearby Sirius building in The Rocks, expected to sell for in excess of $120 million by the year’s end. 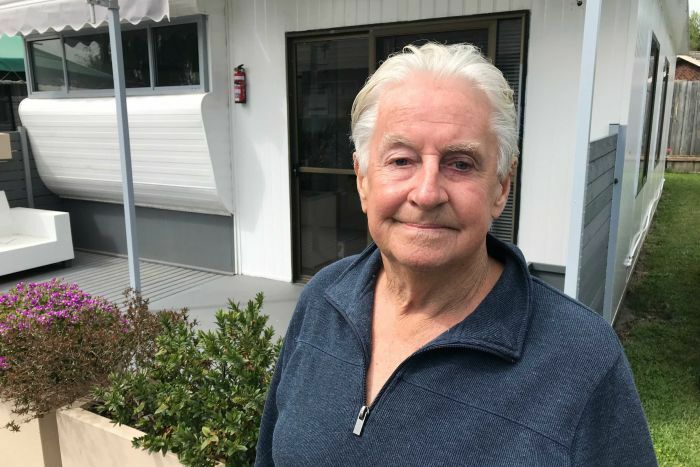 Mr Starr said the dilapidated homes attracted a range of buyers, and he expected Millers Point to become one of the premier communities in Australia. But anger at the sell-off, which prompted years of campaigning by tenants and locals, was evident to the end, with a ”social cleansing” tag scrawled on one sale sign. 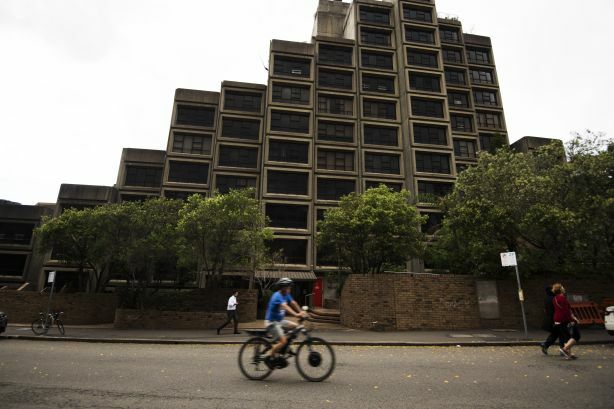 Family and Community Services has retained 28 Millers Point properties, but almost 600 tenants were forced out of their homes and moved to other parts of the city. Independent member for Sydney Alex Greenwich said it was heartbreaking to see one of Sydney’s oldest and strongest communities torn apart. It had been replaced with property investors and speculators, Mr Greenwich said, many of whom were interested in turning homes into short-term letting accommodation. He added the result was a more transient community that affected the soul and spirit of Millers Point. But Mr Starr said the suburb’s sense of community would continue to develop as more renovations were completed and people moved in. This renovated terrace at 24 Argyle Place, Millers Point, sold for $2.675 million last month. It previously sold for $3 million. Millers Point terraces that returned to the market after renovations have previously sold for significantly more than the purchase price, but windfalls have become smaller recently. Last month a renovated terrace bought for $1.75 million in 2016 sold for $2.3 million, after more than four months on the market and a $450,000 price cut. Other un-renovated terraces, which have already changed hands twice, have sold at a loss. With the sell-of Sirius yet to come, Mr Greenwich has written to the premier requesting that the sale includes a provision for social and affordable housing. A Property NSW spokesperson said the tender stage, which closed in September, had delivered local and international interest. With submissions to be assessed over the coming weeks the apartments are expected to sell before the end of the year. Proceeds from the sale of Sirius and housing in Millers Point are expected to fund 1500 new social housing dwellings, with 1121 units already built and a further 260 under construction, in areas like Parramatta, Canterbury, Penrith and Peakhurst.